Once in a while you come across a cause that you feel you can connect to or support. I am already a big supportter of St. Jude Children's Hospital (donations help parents to have their children get cancer treatment for free) and the MDA association (also known as Jerry's Kids aka Jerry Lewis-the Muscular Dystrophy Association helps individuals like myself and families get treatment as well as support). Last year I was surfing Hulu for a new show, something easy on the eyes and not too deep. I love my meaningful shows but I needed something with more of a guilty pleasure flare to it. I came across American Next Top Model. I haven't watched the show since its first season but for some reason I was pulled in. Next thing I knew I was rooting for a contestant by the name of Nyle DiMarco. Nyle is a gorgeous young model who also happens to be deaf. At the end of this last season of the show its Nyle that wins. To watch someone who to the rest of the world has a disability and is not supposed to participate within the hearing world win was just utterly uplifting for me. Actually it felt triumphant. Okay, so I wasn't the one who won the contestant so why did I feel so joyful that a complete stranger won a reality show. It was simply because as I am someone who lives with a physical disability who happened to watch someone do something that no one ever expected him to do. I feel like it was a strong win for those are disabled to know that you shouldn't let anything ever hold you back, not even your disability. But the rest of the world doesn't feel that way. 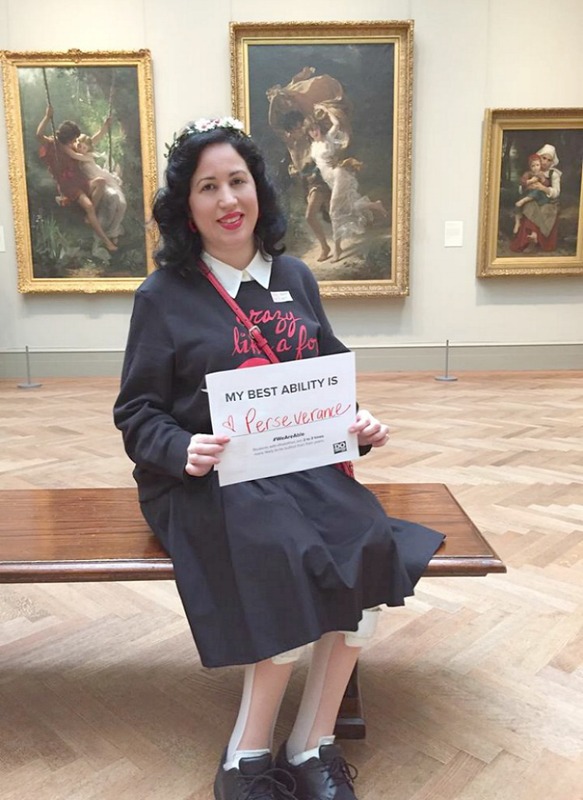 As a blogger I have lost many an opportunity because of my disability. Now people haven't said it directly to my face but a girl knows something is up when you inform them of your disability or send them photos with your leg braces and suddenly the jig is up and the opportunity has suddenly dissipated. Things are changing in this modern world but a person with a physical disability is still seen as "not the same as others", "not workable", "not a good representative to the every day person". I could go on and on. 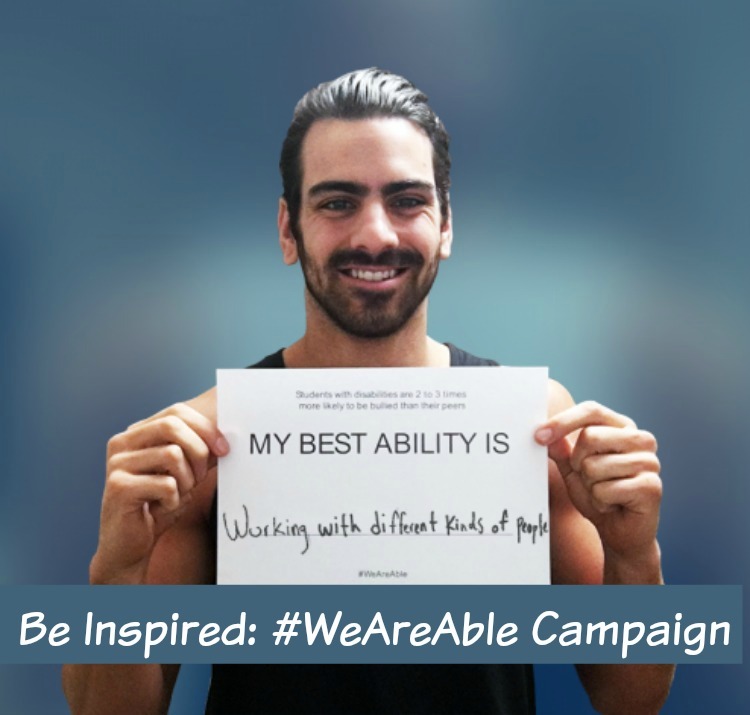 Because of Nyle I feel even more encouraged to not let my disability stop me from being the person I want to be. It has never stopped me from being the mom I've wanted to be so I will not let it stop me from being the blogger and creative person I am. Its not to say I don't have my daily challenges but it doesn't mean that one day you won't see me on a cover of a magazine-leg braces and all. Today I want to share with you that Nyle has teamed up with DoSomething.org to campaign against bulling among those who are disabled. I can say I was lucky that my classmates didn't bully me and for the most part didn't treat me all that different from the other kids but it doesn't mean that I didn't feel different. I think its important to know that even if someone is challenged on a physical level and may or may not be able to do certain things that it doesn't make them less of a person. I am not less than because I have difficulties buttoning buttons or opening cans of sauce or the fact that I can no longer run or dance the way I used to. Is it frustrating? Yes. It is annoying sometimes? Yes. Do I sometimes get angry that I can't do certain things? Of course. But it doesn't mean I cannot do other things. 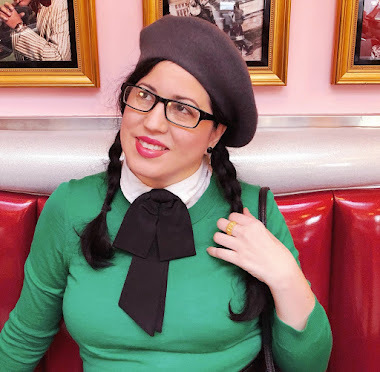 It doesn't mean that I cannot put together a great blog post or model some terrifically stylish clothes, because I can. 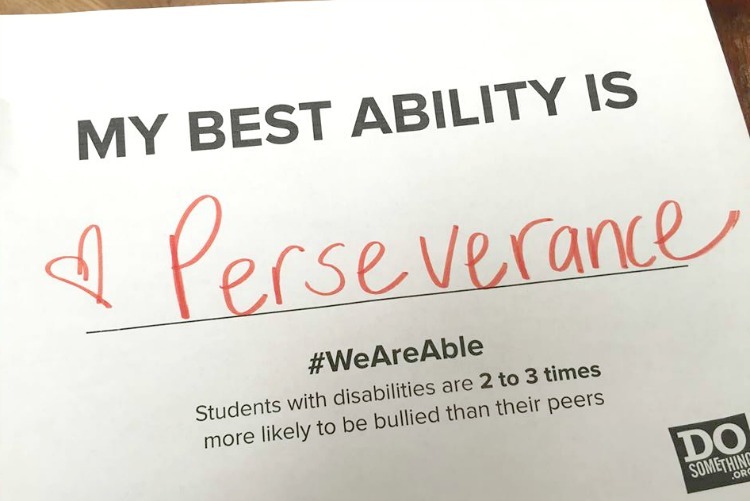 The #WeAreAble campaign that the Do Something Organization has set up hope that it brings more attention to those who are disabled and being bullied. I think my best ability is Perseverance. I don't always know how but my whole life I have just gotten on my two feet which happened to be weak and crooked and got them to go and work and get me to where I needed to be. So yeah, I think I know how to persevere. What do you think you are good at? Join this meaningful campaign and let the world know that you stand by those who are being bullied really for just being who they are. A big thanks to Nyle DiMarco for continuously inspiring me and reminding me that nothing really is impossible and that everything that is meant for you is there for the taking. Incredible post and awareness campaign. You are such a strong, inspiring, beautiful woman, Daffny. I admire you to the moon and back! Perseverance is an excellent quality to have! Not to mention your kindness, creativity and sense of fun. It's sad to think that the figure about bullying is true, although I suppose bullying is such a common occurrence now for many students.